At Krebs Recycle, our motto is "get a new leash on life." Our design philosophy is to take stuff that might otherwise get chucked into the trash and transform it into something fun and useful. Our dog leashes, for example, are made from retired climbing rope that needs to be retired for safety reasons after several months in a gym or a season of climbing with guide services. 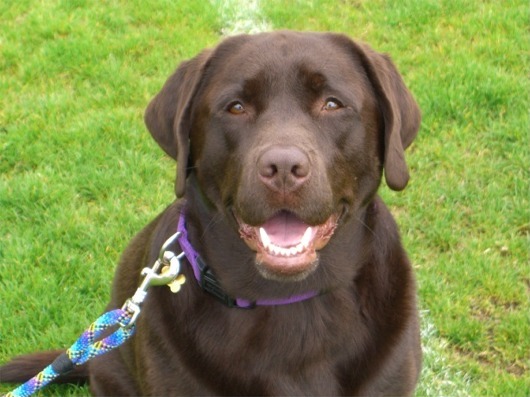 Krebs Recycle developed their first dog leash when their chocolate lab Reggie was a puppy. They cut up a piece of old climbing rope, tied on a hook and handle, and loved the results. After experimenting with a variety of different methods and testing a bunch of prototype leashes with friends and family, they came up with the leashes they're selling today. Krebs Recycle is a family business located in Hammond, Indiana. If you'd like more information about Krebs Recycle or Krebs Recycle products, send us e-mail at info@krebsrecycle.com or call us at 219.513.2103.